Selected as Party of the Day on October 1st! 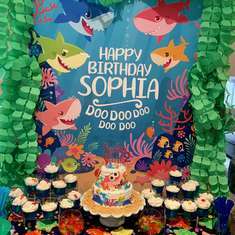 Sweet Girls shared a birthday three weeks away, so Mommy Maxine of Lovely Soiree, a Florals and Event Styling company decided to mix in the two birthdays themes into one. 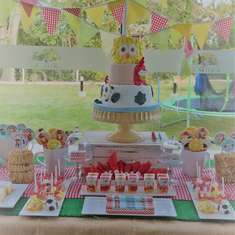 The oldest, turning three, was a super girly girl so Hello Kitty was picked, The youngest, turning one, wasn’t quite the girlest of girls so a cute theme that would mix well with Hello Kitty was thought of and no better than donuts! 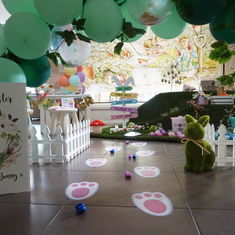 With help of great vendors and a creative idea in mind, the vision really came to life. Desserts where perfectly curated by Wink by Erica and Violettes Delights. 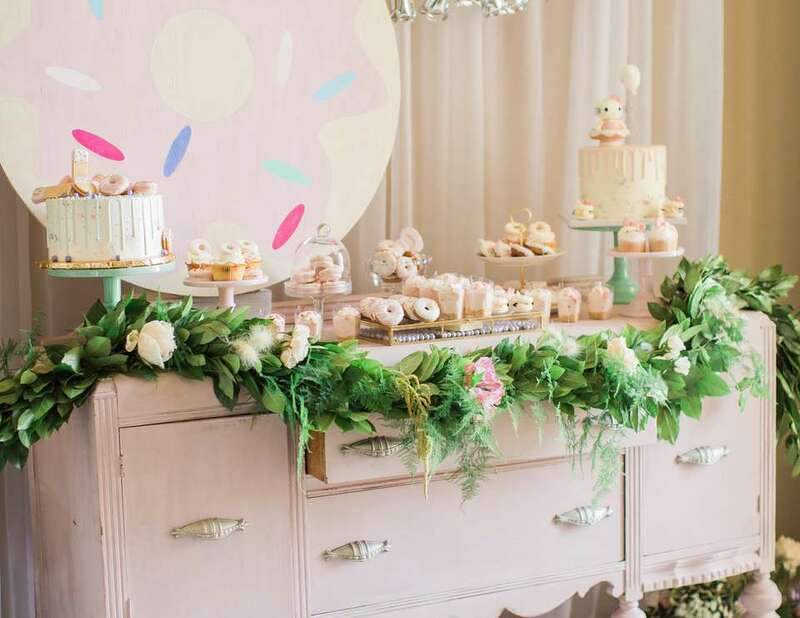 The pink vintage buffet helping the decor stand out was from Rent Some Vintage. 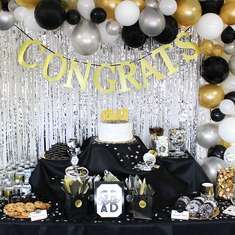 The hand painted Donut Backdrop was a custom creation by Created by Jackie.